For decades, it has generally been accepted that when you remodel your house, you can expect to get back at resale at least as much money as you put in for kitchen and bathroom upgrades. There is no need to wait until you are getting ready to sell to improve your kitchen. If you make some upgrades now, you can enjoy the benefits of the improvements yourself. Without changing the layout or footprint of your kitchen, you can improve the look and feel of the room by upgrading the cabinets. If you are like most people, your kitchen cabinets get a workout every day. Family members are continuously opening the doors to get glasses, dishes, food and cooking utensils. Over time, the cabinets and especially their doors begin to show wear. New cabinets constructed of the latest in natural or synthetic materials will give your kitchen a facelift. Cabinet Joint recommends, in addition to replacing existing cabinets, look around and figure out some places in your kitchen that would benefit from an additional cabinet or shelf. It’s always helpful to have a little more storage space. Your kitchen is a very practical room. It is designed for storage, food preparation, and cleaning dishes, pots and pans. Another truth is that you spend a lot of time in your kitchen. Display collectibles you have collected over the years, and let the kitchen reveal more of your personality. All Storage Online suggests that if you have extra space above your kitchen cabinets, you should consider putting some of your collectibles there; a collection of pottery can look great high up there, and it will be out of reach of cooking oils or water splashed from the sink. Baskets and candles placed on shelves and in shadow boxes will also help to make the kitchen more personable. You might want to consider decorations that you change out each season to help keep your kitchen’s look fresh. An inexpensive way to enhance the look of any kitchen is to attach crown molding to the top of the cabinets. The molding does not add to the functionality of the cabinets, but it gives the cabinets a finished, richer look with character. As Mahogany Inc explains, crown molding not only enhances the aesthetic beauty of a house or home, but it increases its value. Crown molding is coming back into popularity in a big way. The molding can match the color of the cabinets, or for a bolder look, the molding can contrast with the cabinet color. 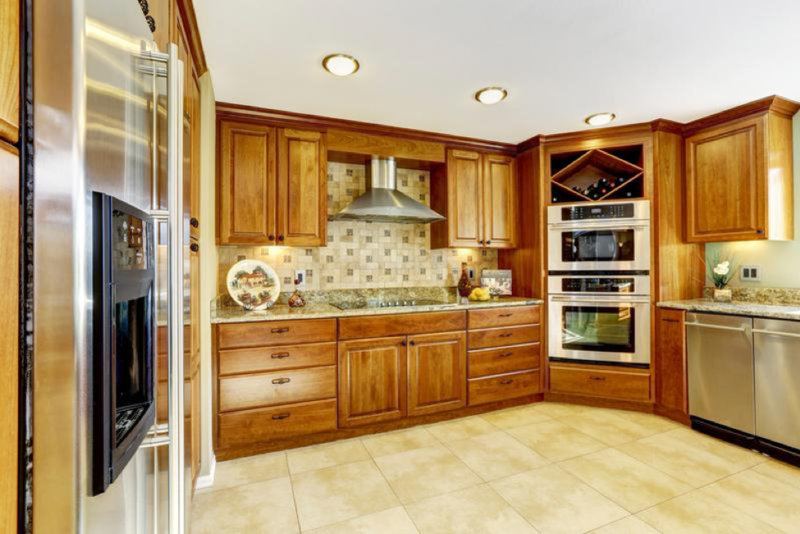 Get more enjoyment out of your kitchen with new or enhanced cabinets. Displays of personal items express who you are and enhance the heart of the home. For all your interior needs, whether it’s painting, cabinet painting and refinishing, epoxy floor coating, wallpaper removal, drywall repair and more, hire Jaworski Painting.